Paint runs usually occur due to heavy applications of paint as when excessive paint is applied it fails to adhere to the surface which creates paint runs which become visible to the naked eye. Nobody is perfect. Even the professionals will make mistakes when spray painting so if you’ve noticed that the paint has run and dried. Don’t fret as in most cases you will be able to rectify the problem without the help of a professional. Most paint faults can be fixed reasonably well with a bit of time, preparation and good products. Today we’re going to demonstrate how to rectify a small paint run on the boot of this vehicle (as pictured above). Using 2000 grit wet and dry sand paper begin to carefully sand the paint run. Wrap the sandpaper around a small wooden block to ensure the sand paper sands only the run and not the surrounding paint. 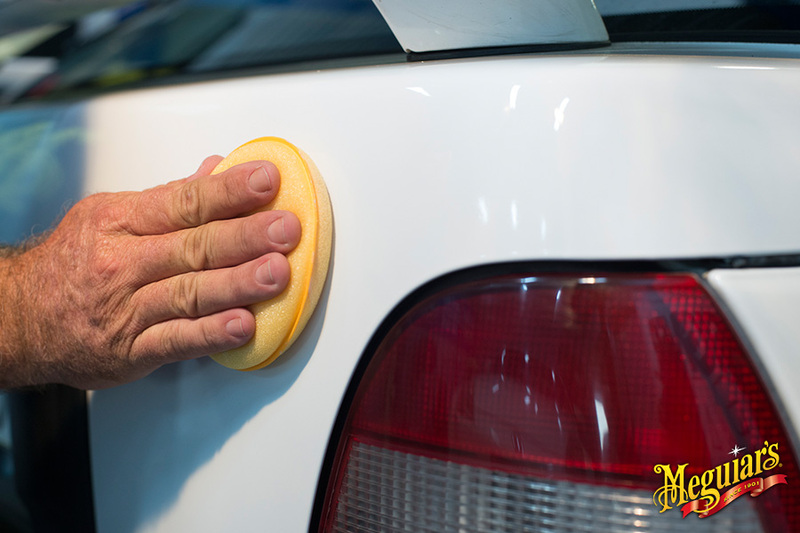 Make sure you wipe of the excess water regularly as you sand to minimise the chance of wet sanding marks in your paint. If the paint runs are more substantial than pictured above it would be worth considering using a coarser grade of sandpaper. You can see above that we are starting to make progress on the paint run. Repeat the process and continue to sand the paint runs until the area is smooth and level. The next step is to apply Meguiar’s Ultimate Compound to the effected area. 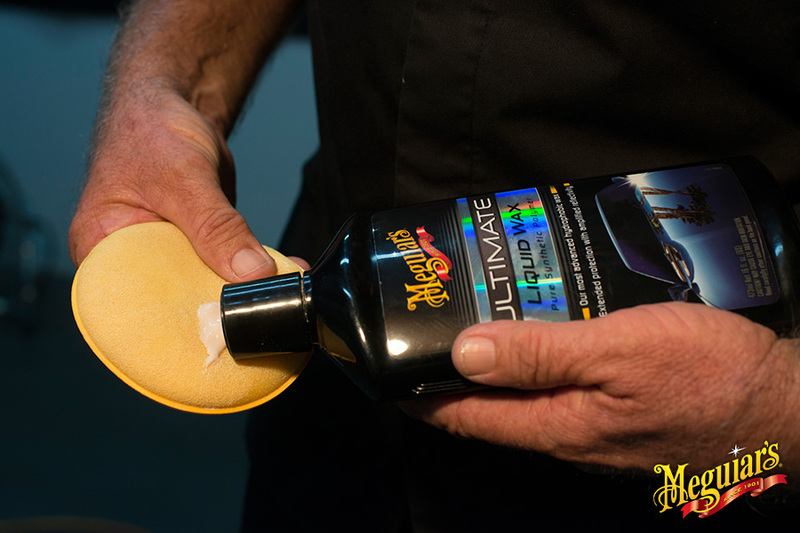 The revolutionary formula cuts as fast as heavily abrasive compounds but without the scratching – even on clear coats. 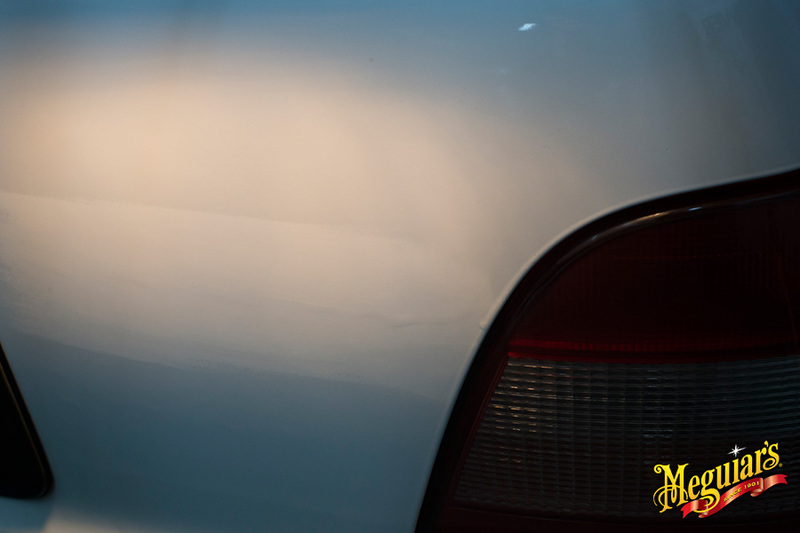 This is the safest, most effective way to remove scratches, swirls, oxidation, water marks, blemishes. 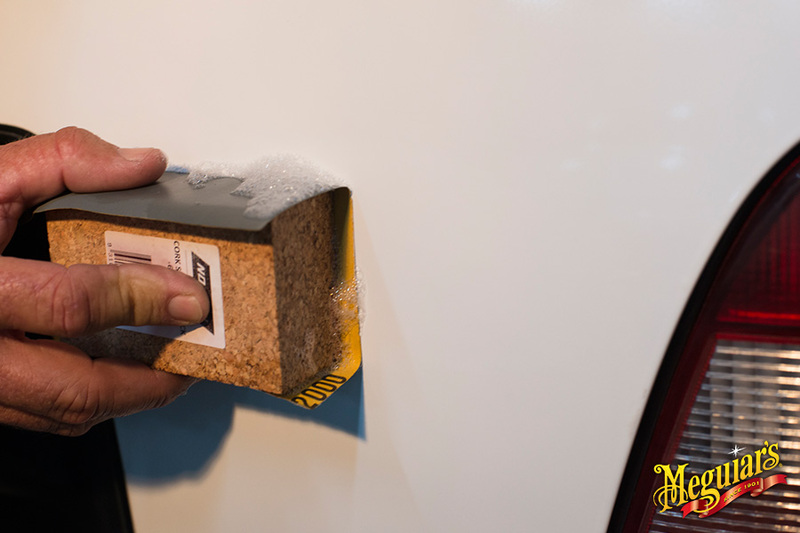 The product will also remove any fibres or dust within the paintwork which is a common problem for DIYers who paint components in their garage or similar. In our instance, we are using a DA Power System Cutting Pad and an random orbit buffer apply a small amount of Ultimate Compound onto the cutting pad and begin to work the product into the effected area. Repeat the cutting process until you are happy with the results. Wipe off excess product with a microfibre cloth. 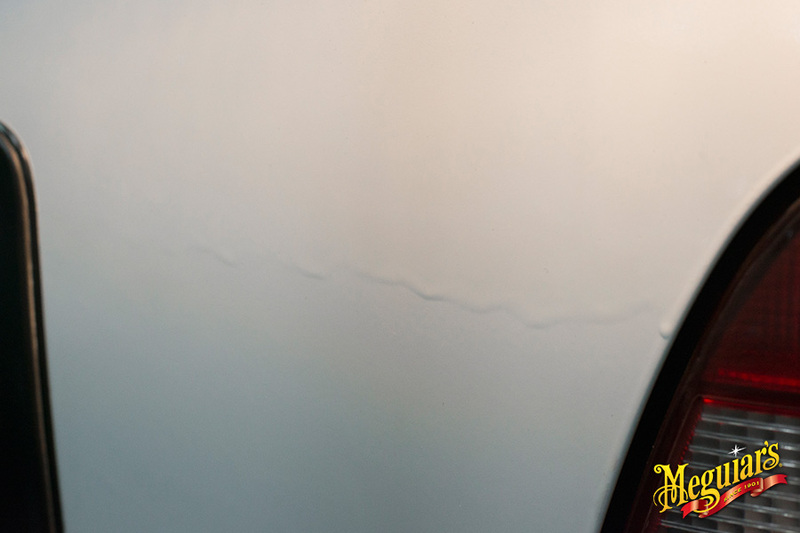 The final step is to apply Meguiar’s Ultimate Liquid Wax. 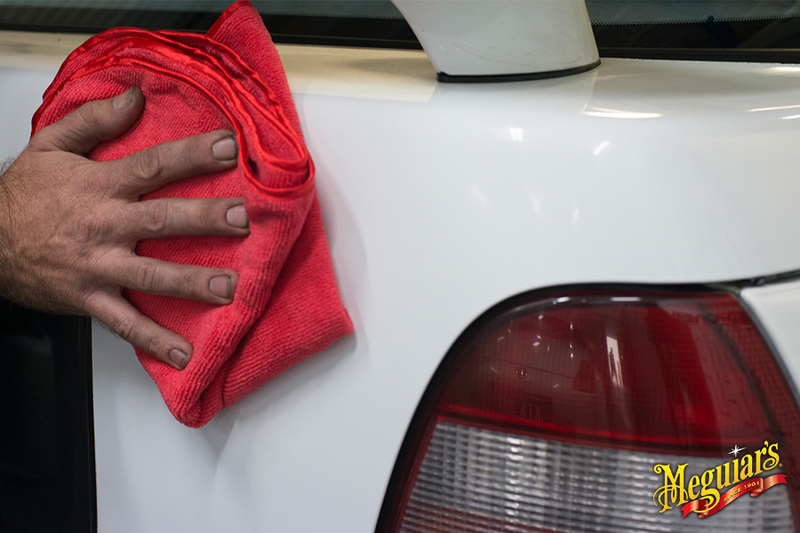 Dipense a small amount of Liquid Wax onto the Hand Applicator Pad (included in pack) and apply to the effected area, allowing 3-5 minutes before removing with a Meguiar’s Microfibre Polishing Cloth (included in pack).